Montecito Inn's bar presents classic cocktails and a selection of cheese, charcuterie and other snacks. 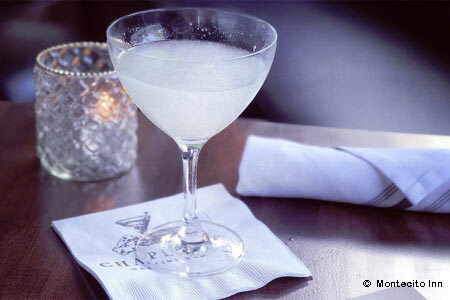 : This bar pays tribute to silent film star Charlie Chaplin, who was one of the original owners of the Montecito Inn. Along with classic cocktails, guests will encounter a selection of snacks and small plates, including French cheeses, Italian charcuterie, jumbo shrimp with house-made cocktail sauce, steak tartare and local oysters. The hotel's Chaplin's Martini Bar, The Monarch restaurant and The Silver Bough were conceptualized by chefs Phillip Frankland Lee and Margarita Kallas Lee of Scratch|Bar & Kitchen.